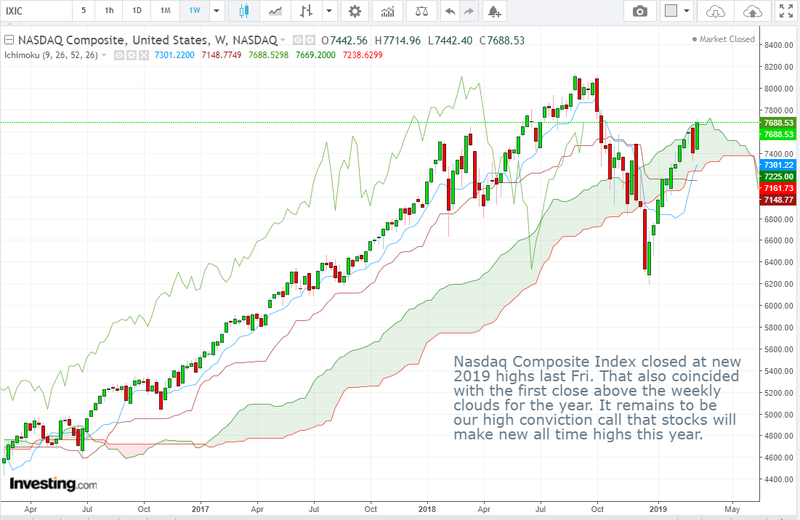 Nasdaq Composite Index closed at new 2019 highs last Fri. That also coincided with the first close above the weekly clouds for the year. It remains to be our high conviction call that stocks will make new all time highs this year. Vee, our Founder/CIO highlights patterns/formations on selected chart(s) every week which may have the potential to turn into trading opportunities. These charts are first sent out on Monday of the week to members subscribed to THE LONG & SHORT OF IT, which helps you to filter out the noise and condense only what’s important in the markets for the week ahead. This entry was posted in The Week Ahead, Trade Opportunities. Bookmark the permalink.